Welcome to Excel Dance Studios! 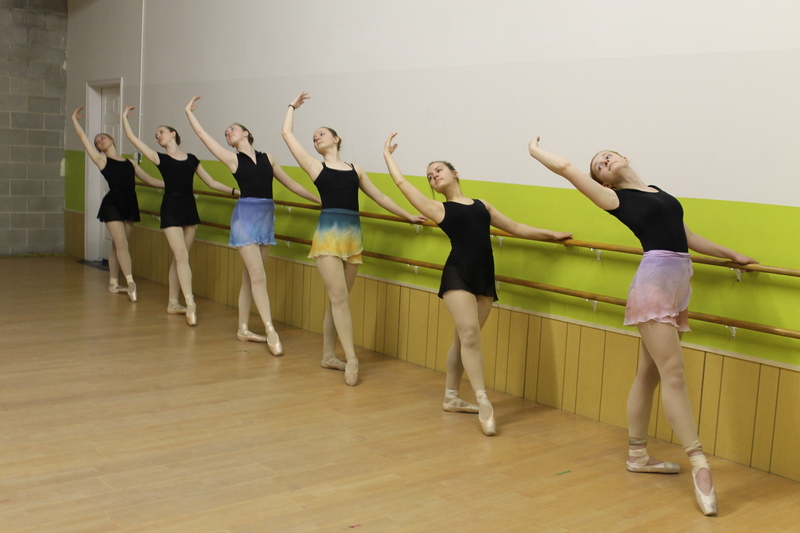 Our school offers Ballet, Jazz, Tap, Tumbling, and Hip Hop classes for all ages and abilities. We are NOT a competition school, but rather offer a relaxed class atmosphere, where the teacher can concentrate on the individual to provide the best instruction and technique. Our staff is highly qualified and has many years of experience from different schools around the world. Our goal for our students is high-quality training and technique. Not all students will choose to become professionals, but the discipline, commitment, and self-esteem that they gain will help them for the rest of their lives. Classes for 3+ and all abilities. If you are looking for the BEST for your child, look no further! My children have been attending Excel dance since they first opened their doors. It has been a very positive experience for them. The varieties of classes offered have kept my childrens interest and they come to appreciate the different styles of dancing. The benefits I see, as a mother, are the basic character building blocks my children have developed from making new friends, paying attention, following directions, and most of all- increasing their self esteem. Their confidence level are high and shyness is not a factor being in front of an audience. That is an essential trait to be successsful in today’s society. The main dance recitals at the end of the year are phenomenal! Definitly a must see! Well planned, choreographed and professionally performed. The children are prepared and eager to show their learned skills. It is a good place to learn dance in a non-competitive environment. I really appreciate that I can count on Excel Dance Studios to teach my daughter correct technique from qualified teachers who not only know how to teach dance, but also how to enjoy it. I have chosen Excel over other studios because of their friendly atmosphere, variety of classes they offer, their professionalism, their non-competitive learning environment, modest costumes and GREAT prices. Excel offers the very best class experience, from qualified teachers throughout the school year culminating to a unique professional-style recital. Thank you! They have learned many things like learning to move. To be physical (cardio, control, flexibility, etc.) which has increased their self-esteem and confidence. They also like the social aspect and they have fun. We like the schedule and location but mostly the owner and the teachers. They are awesome and patient with us and our kids. They make my girls better and increase their skill that improves them physically, mentally, emotionally, and socially.